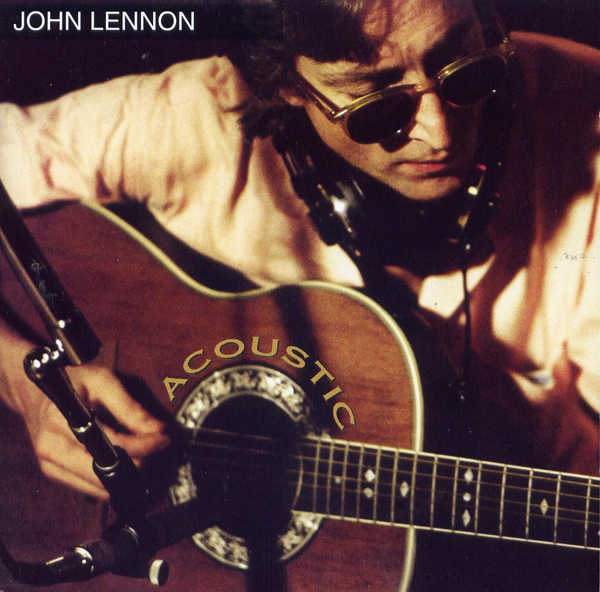 Acoustic is a compilation album released in 2004 of John Lennon demos, studio and live performances that feature his acoustic guitar work. 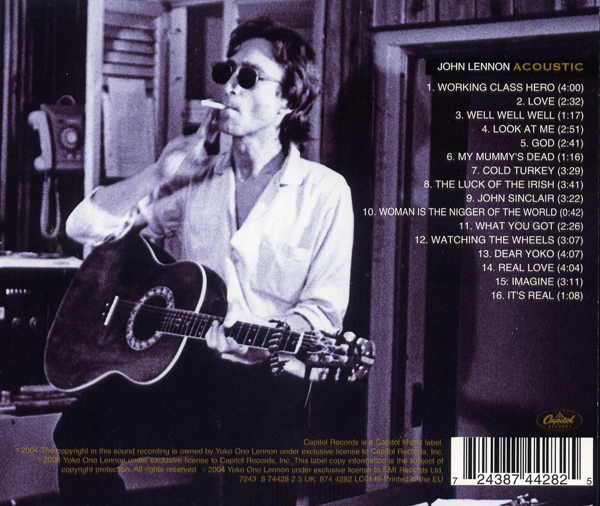 The album cover is a photo of Lennon in the recording studio playing an acoustic guitar with headphones dangling around his neck. 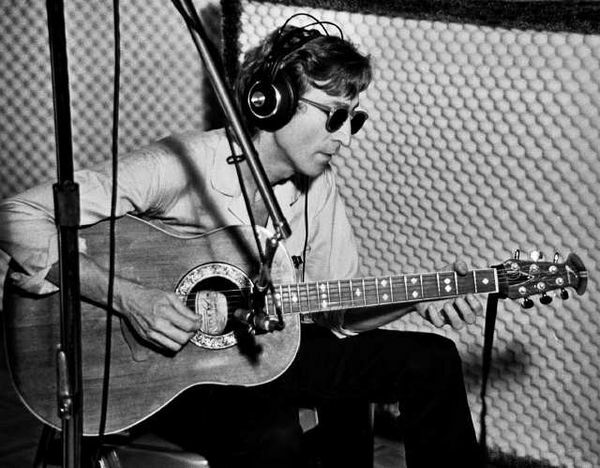 The photo was taken in September of 1980 most likely at The Hit Factory Studios in New York. 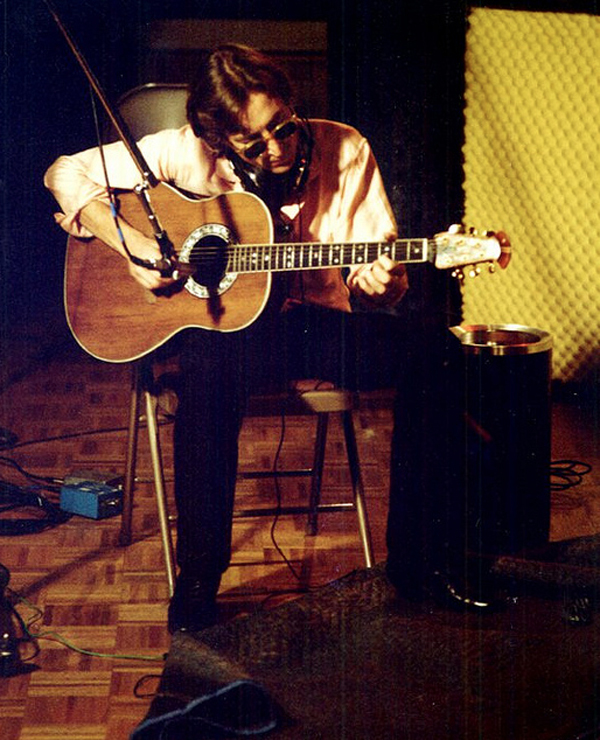 Here is the uncropped photo of Lennon used for the album cover.